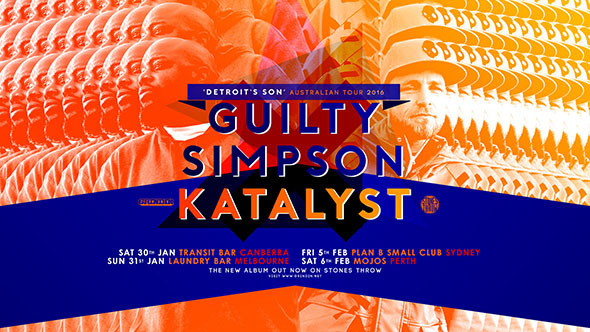 Guilty Simpson – "Testify" – produced by Katalyst. Here's new track from Guilty Simpson, produced by Katalyst (Quakers) who also produced Guilty's album Detroit's Son. Guilty is headed to Australia later this month where he'll perform four shows together with Katalyst. Dates below.